Chuck Hyman ’99 has been deeply involved at TCF for nearly 20 years. In addition to participating in the first WPI class and serving as a TCF Trustee, he and his wife, Jan Healy, are involved in Beaches Community Fund and Women’s Giving Alliance. Chuck, an investment advisor, has also helped steward donor resources on the Investment and Finance committees. Chuck discussed his family’s investments of human capital and resources with Caroline Brinton ’10. 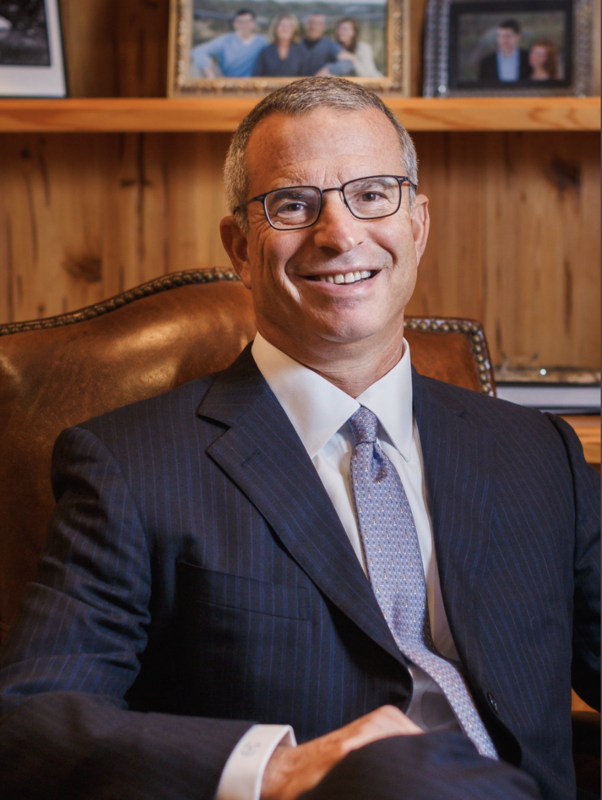 A: I run Charles D. Hyman & Co., a private, registered investment advisory firm in Ponte Vedra Beach. We manage clients’ long-term investment objectives. Q: Currently, what issues are you putting your philanthropic resources toward? A: My wife, Jan, and I are focused on two primary issues. First, we have a longstanding commitment and interest in education both locally and through my alma mater, the University of Virginia. Second, Jan is deeply engaged and committed to the Women’s Giving Alliance, an initiative of The Community Foundation. She has focused on a number of issues through that work and is currently focused on breaking the cycle of female poverty. We consider our philanthropic resources to include human capital, investment of our time and resources. Q: Do you have a philanthropic mission statement or personal motto? If so, would you mind sharing? A: We haven’t written one out, but we should as it would be a good exercise. We care a great deal about being thoughtful and committed with our investments. Something we are working to become better at is investing in a more focused manner—less spreading of the peanut butter, so to speak. A: We love the lifestyle it provides, including spending time outdoors. We have lived in Atlantic Beach for almost 30 years, and treasure the people and friendships we have here. Q: What is a lesson you’ve learned about building a stronger community? A: We’ve learned that it is difficult to fully understand and achieve measurable results, especially in the area of public education. We would like to be as effective as possible as quickly as possible and that can be challenging. A: Jan and I weave our children, who are now 25 and 23 years-old, into the fabric of what we are doing and why we are doing it. It was important to us that we instill a sense of philanthropy in them at an early age, and that we continue to nourish it. Q: In the last decade, what philanthropic investment have you made that you are most proud of? A: I’m most proud of my investment of human capital. I served as a Trustee of The Community Foundation from 2008-2016. In addition, I served on the Finance Committee, and the Investment Committee, including as Chair from 2009 to 2012. TCF has been, and continues to be, a sound and thoughtful steward of donor funds. A: Whether or not a philanthropic investment has been successful is project-specific for me. Sometimes, just touching one life in a meaningful way is a success. From an investment standpoint, success is ensuring we steward the assets of donors in a sound, risk-adjusted manner. Q: What philanthropic initiatives at The Community Foundation are you and your family involved in? A: I am a graduate of the first Weaver Philanthropic Initiative class in 1999, Jan and I are involved in the Beaches Community Fund, and Jan is an active member of the Women’s Giving Alliance. We enjoy being first-inning donors, engaged from the start of an initiative. A: Until I was a part of WPI, my views on philanthropy and charity were abstract. I didn’t truly understand the difference between the two. It provides a strong foundation for younger generations, and encourages them to take a thoughtful approach in developing their emerging philanthropic interests. Trustees and those steering philanthropic resources have a responsibility to nourish generational interests in philanthropy. It is highly advantageous to the community and to the individual. Pay it forward, pass it down!